In the middle of “Not Dark Yet”, a Bob Dylan song that Ruby Amanfu performed for us this summertime, Ruby steps back from the microphone to let Brett Lanier take a heartfelt emotional solo. The passion in the playing and the feeling that the musicians on stage had for each other is evident in the “secret video” linked down below. 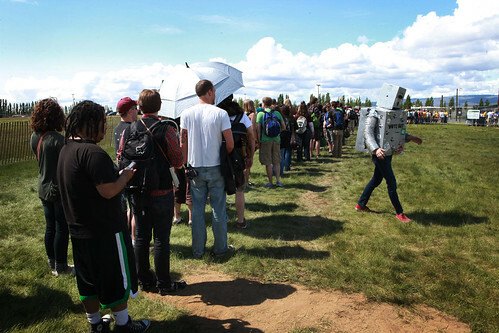 What most of you don’t know is that Ruby met Brett in person at 4:00 that same afternoon. Performances like these are built on years of practice and performing but they’re also built on trust – something that our community continues to give us. You trust us to bring in acts that you love. We sell out shows for artists who have never played anywhere near Vermont. We wanted to thank you for that trust you’ve given us, it’s very much appreciated. Thanks to everyone who came out to shows, donated money to help us out, brought some food to share and generally participated in making this thing what it is. Thanks to every member of our family who spends hard hours making this happen. Thanks to Nancy for many of these videos and images. Thanks to Sparrow for the image in the email. Finally thanks to the musicians who keep coming and keep putting their hearts on stage for us. Sometimes in life you find dark places, and the only thing that can give the dark places light is to give voice to it. Thank you for giving light! The year started off with a huge show. Grammy nominated Della Mae decided to drop by thanks to a nice connect from a friend. This show sold out in about four hours for very good reason. Della Mae has so much talent on stage it’s hard to know where to look. Late night jams with Courtney and a lesson on feminism from Kimber made it a night to remember. Margaret was signed to ATO Records late in 2015. The label paired her with Rayland Baxter as his opener and I literally begged her to join the show with him. Even though she was feeling a bit under the weather she delivered a mesmerizing set of songs from a record that when on to appear on many end of the year “Best of” lists. Rayland and his band just got better and better as the year went on. It was fantastic to watch this group of talented players fit their jammy rock songs and whimsical ballads to our space. Later in the summer I would see Rayland play 3 times in 24 hours but this was still my favorite. Joe Pug was the first act ever to play Billsville way back in 2011 and we were thrilled to have him back. His word craft and characters continue to thill. Mesmerizing. This show was packed with emotion for us as MorganEve Swain returned for the first time without Dave Lamb. What a night of close harmonies, hypnotic riffs and heartfelt emotion on stage. This band continues to be one of our favorite acts. They’ve always had the musical chops but their showmanship and the expansiveness of the sounds they can put on stage continues to improve. Lula Wiles were a quick crowd favorite and know wonder. Each member is brimming with talent but they are the rare type of band whose personalities and skills combine perfectly into something fresh and fun. Even a severe hail storm couldn’t keep us from enjoying this amazing band as much as all of us did. Dancing and moving to another Grammy nominated band with a world of talent was a great way to spend a night. Lissie returned for her second performance with us. She’s an international star with a huge voice who recently made some great personal and professional decisions to help her be in charge of her own career. So thrilled that we can benefit from that. I fell in love with Ruby at this years Newport Folk Festival and simply begged her to come and play for us. Folks, sometimes begging works. This was one for the books with Ruby bringing her amazing talent to our room while backed by our favorite guitar player Brett Lanier. A band out of Maine with huge potential. We see great things in the future for these folks with their songs, style and on stage connection. Ryan and Erika can bring the noise with the best of them. 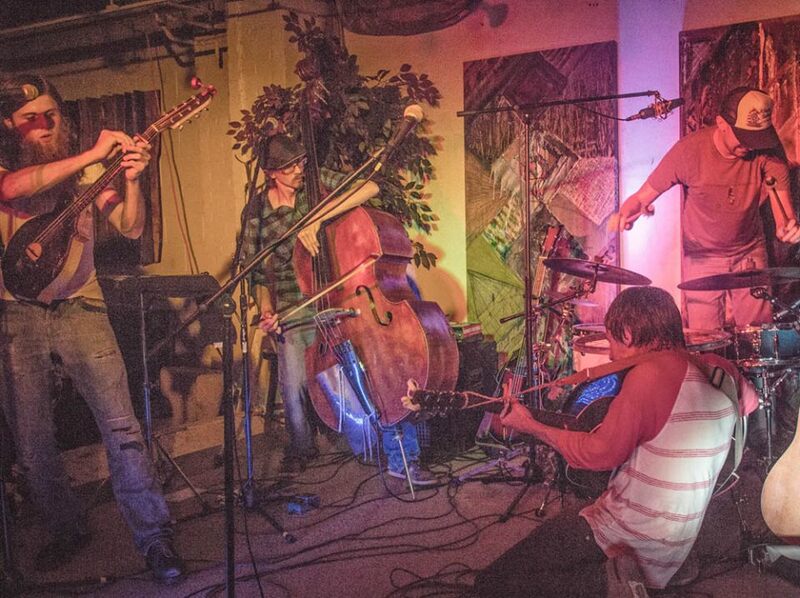 Perennial Billsville favorites returned with a new vocalist and a space for dancing. This show is what Billsville is all about. Big band, big fun and great feedback from the community. This one features Ethan on guest guitar. Vermont musical stalwart Brett Hughes ended the year with a night of fantastic songs and music. We wish him well as he preps to record an album in Nashville. Last June, Grace Potter dropped by to play a one of a kind show for us – our 75th as a venue. From what we can tell – this is the smallest “non-promo” show Grace has played in about eight years. We had to keep this one on the down low for obvious reasons. Grace spent the month opening for the Rolling Stones, sharing the stage with Mick Jagger on “Gimmie Shelter” and playing with Kenny Chesney in Green Bay for about 80,000 people. In the middle of that whirlwind she spent two hours on stage at our house sharing her talent along with Benny Yurco and Matt Burr. This one will be hard to replicate – what a night! The final song of the set was a duo with long time tour manager/friend Jen Crowell on “Nothing But The Water (I)”. We’re thrilled to be able to release this one of a kind performance. Enjoy! To make sure you don’t miss our one of a kind shows in a one of a kind place – subscribe to the email list at the bottom of this page! Thanks to Ethan for another stellar live recording. Was simply a crazy/awesome weekend for music lovers. Joe Fletcher + Spirit Family Reunion at The Dreamaway on Thursday. Freshgrass on Friday, Saturday and Sunday and of course our show with Brown Bird, Joe Fletcher and The Wrong Reasons and Poor Old Shine on Saturday. Video evidence! 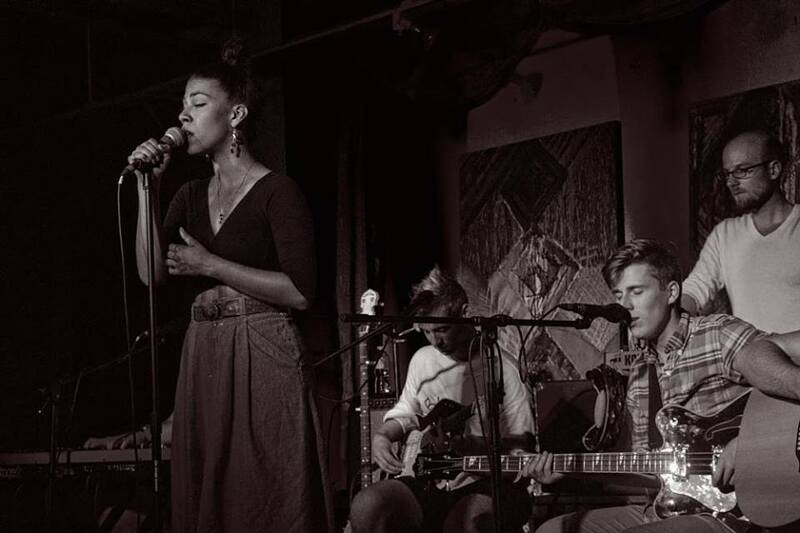 New music from Spirit Family Reunion - "I Am Following The Sound"
Listen up and try to sit still – seats are filling up for the June 9th show, you better reserve yours soon. The last weekend of October marks the final two nights in the Billsville House Concert Series for 2011. We’ve got two fantastic shows lined up – “Swear and Shake” on October 28th 8PM</strong> and <strong>"Caroline Smith & The Good Night Sleeps" on October 30th 7PM. Seriously, $10 a show? That’s better entertainment than a trip to Family Dollar. Frankly, we really need to sell some tickets to keep bringing in the quality acts we’ve been able to attract. If you can make it out I would really appreciate it. Thanks to everyone who has come out to support music over the last six months. We’ve had an amazing time and I’d love to end it on a big note before we take our hiatus for 2011. 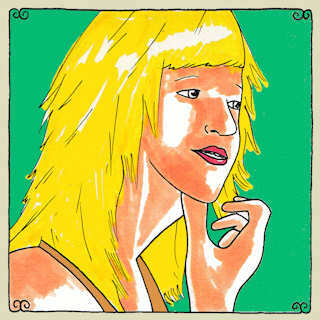 If you’re not familiar with Daytrotter, well, get over there now and grab Anais’ set. We’ll wait. Although given the depth of the Daytrotter catalog I imagine we’ll see you in about three years. She more than acknowledges, or at least, plays with the ideas of higher and lower powers that go far beyond reasoning. She seems to relish the freefall, the thought that everything belongs to the family of the chaos theory and that there’s no way of really telling if the laughing we’re doing is a product of happiness or just the beginning of the opposite feeling. High or low – it’s all relative. It might just be differences in the crowds we keep, the people we share our bed or house with. She sings on “Comin’ Down,” “I know where my satisfaction lies/Way beyond the blue horizon,” and it feels like that could be like knowing about a utopia, or a heaven that might or might not ever be visible, but the looking continues. Like a heatwave indeed . . . .
Well, it was another fantastic evening in Billsville wasn’t it? A full house was on hand as The David Wax Museum played an intimate, energetic and friendly show that included an all audience dance party, a gospel sing-along and a first time played cover of Leonard Cohen’s “Hey, That’s No Way To Say Goodbye”. Oh, did we mention that E. sat in on snare drum for a tune? As we sat at the kitchen table at midnight we laughed in amazement at our good fortune. Music, friends, life . . . not much more is needed. A wonderful night on the Green River in Williamstown. Thanks everyone for the great turnout and special thanks to Guggenheim Grotto for the fantastic show. The late night roll call of Irish artists was a treat. “The Boys Are Back In Town” indeed. 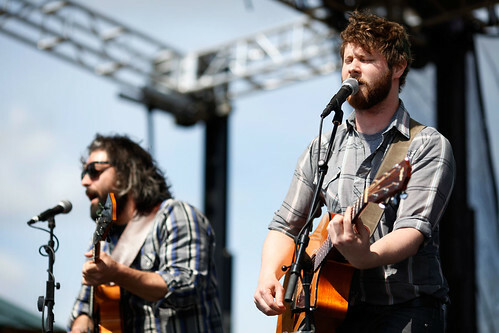 Here’s another chance to hear a live Dan Mangan show. 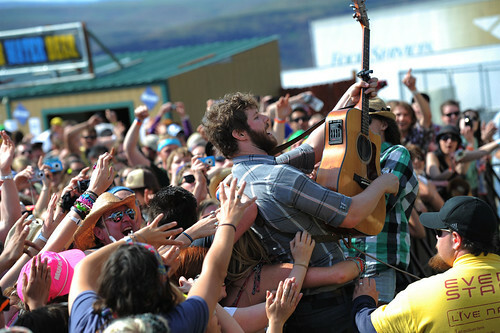 Listen online at NPR at 6:00 PM today for a broadcast of Dan’s show from the Sasquatch Festival. This was recorded yesterday in front of over 1,000 fans. Our pals Joe Pug and Strand of Oaks Cover Bonnie Prince Billy's "Hard Life"